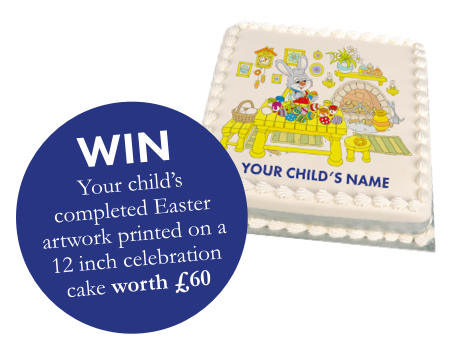 This Easter break enter your kid’s into our colouring competition for their chance to win their finished artwork on a 12 inch photo cake! The competition will be running from 1st to 21st April. The winner will be selected by the entree with the most public votes and will be invited to a prize giving ceremony at their chosen Grout’s store, where the completed cake will be presented to the lucky winner.